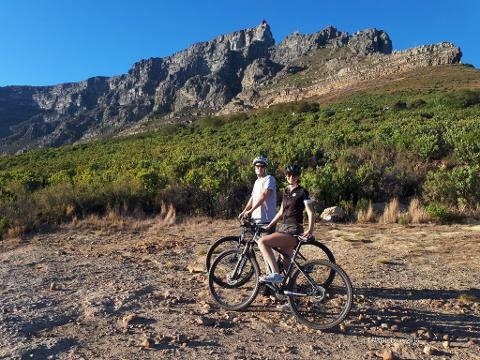 We start our 27km ride from the lower cable car station and follow the tar road past Table Mountain towards Devil’s Peak. Ride up to the King’s Block House on winding gravel roads. 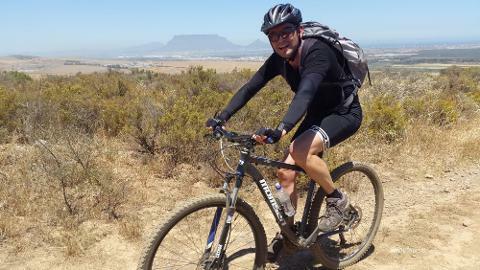 This climb is well worth the effort as you have views of both Table Bay and False Bay. 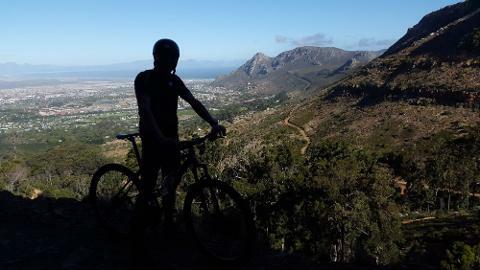 A technical, very steep downhill leads us to the singletrails at UCT/Rhodes Memorial. 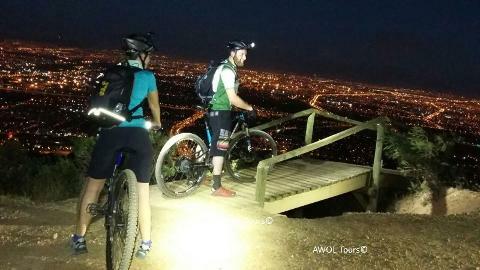 Then we tackle the undulating ride back up to Tafelberg Road. 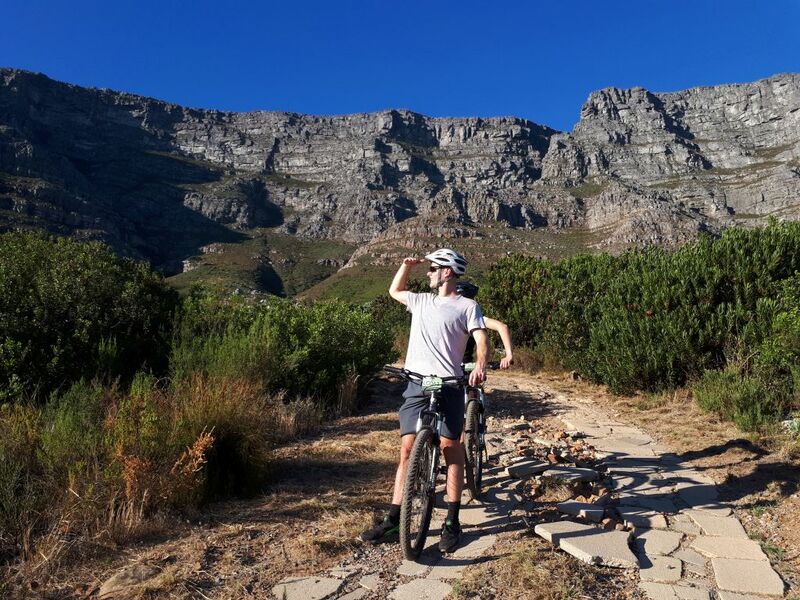 Alternatively, an option for extremely fit mountain bikers who have previous technical riding experience can opt to do a longer ride starting from the Waterfront with hectic climbs up Signal Hill and onto the trails along the lower slopes of Table Mountain to Rhodes Memorial. 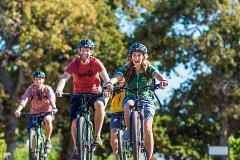 Ride up to the block house and down to Deer Park, then back to the Waterfront through the city. This route follows the Cape Epic Prologue route and is described as challenging due to the steep climbs and loose gravel roads. Expect to climb 600 to 100 meters in under 30km. terrain is both exciting and challenging. 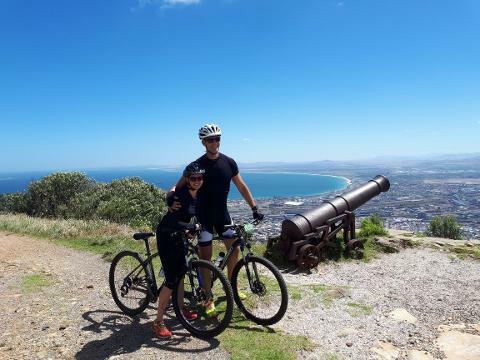 Take in the 360-degree views of the Cape Flats, Noordhoek beach and False Bay while enjoying a picnic lunch amidst the chirps of orange-breasted sunbirds. Away from the cycling track, there are caves to explore and shady riverside forest to laze in. 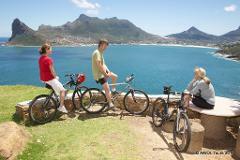 Enquire about this as part of a 70km Peninsula Loop biking combination. tube’ and ‘cheeky corners’. Another climb takes you up through the Bushvines. 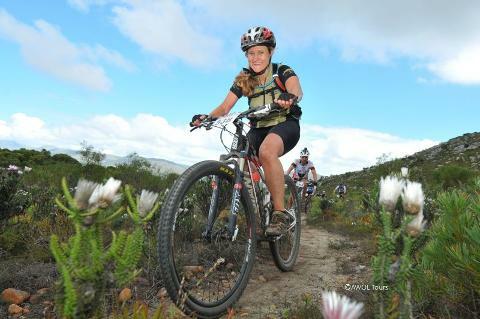 For those that still have energy we have an option to continue through to Meerendal, a well-known end point to the Cape Epic with a climb up to Dorstberg or sweeping down through the AfroMontane Forests of Bloemendal and Majik Forest. 2 cyclists. 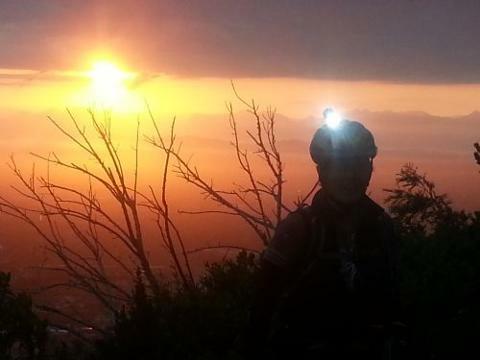 We provide 980 lumen lights to brighten your ride. 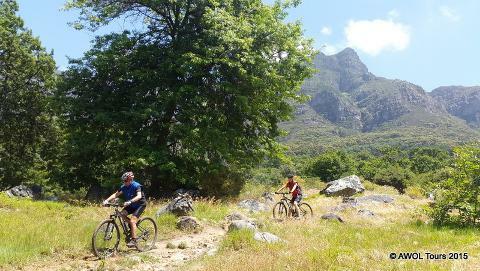 The mountain biking price is as follows and is inclusive of Transport to and from your accommodation, experienced mountain biking tour guide, mountain bike with front suspension, snacks and water and trail permits.